Head coach of the Super Eagles, Gernot Rohr, has revealed that he urged his team to make a fast start against Egypt on Tuesday. Nigeria defeated the Pharoahs 1-0 in an international friendly, played at the Stephen Keshi Stadium in Asaba, Delta state. Paul Onuachu, who was making his first start for the Eagles, netted the only goal in the opening minute. And Rohr has confirmed that was the game plan. “We decided to make a fast start. So you can say the goal, it was a planned goal,” he told reporters after the game. 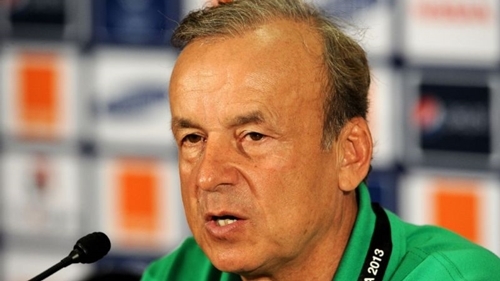 Rohr also made it clear that he has found all the players he would need for the 2019 Africa Cup of Nations tournament in Egypt in June. “(The) window for new player invitations to Super Eagles is closed.